It is mentioned on their Facebook page that they serve fusion cuisine such as those from Switzerland, Italian, French and Japanese and is supposedly carefully prepared by a former chef from an established restaurant. I would think it is too ambitious in wanting to serve a bit of everything from different countries. 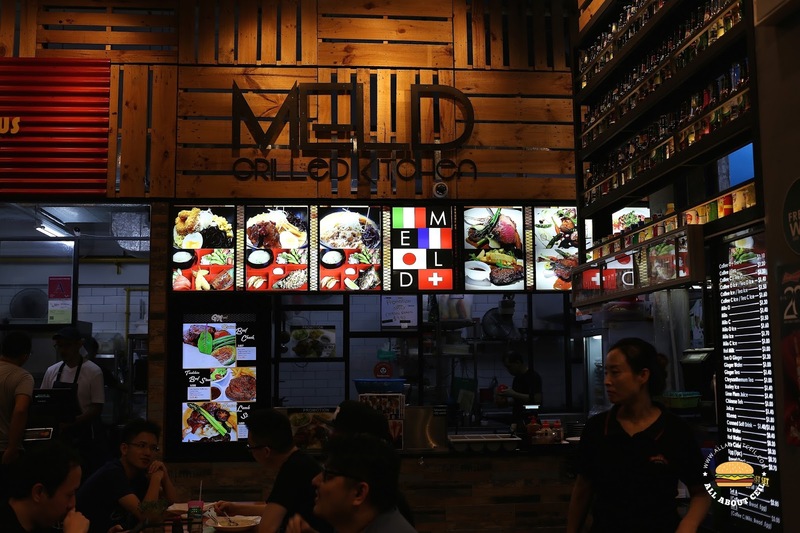 Nonetheless, I was curious enough to order from this stall to see how good does it fare. I went with the item listed as M102 which they named it Chicken Boneless Crusted Cereal for $9.80. 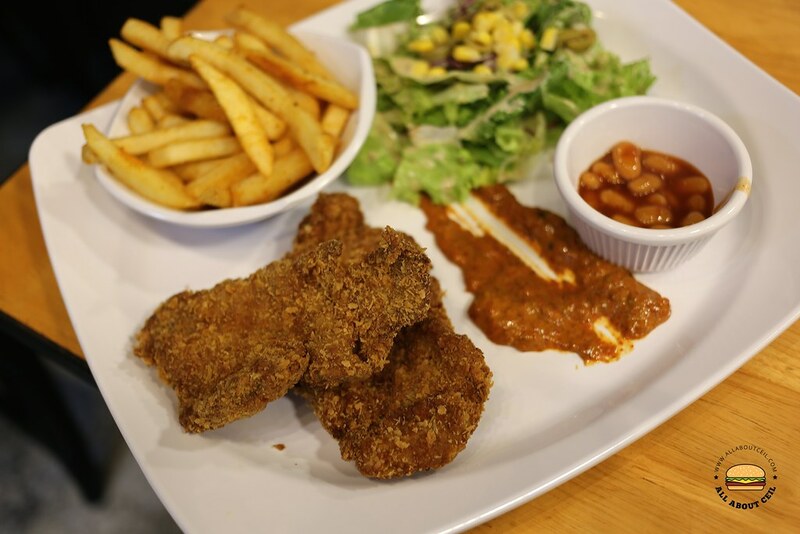 It comprises of a fried breaded chicken served with truffle fries, garden salad with their homemade sauce. There is no description of their homemade sauce on the menu. 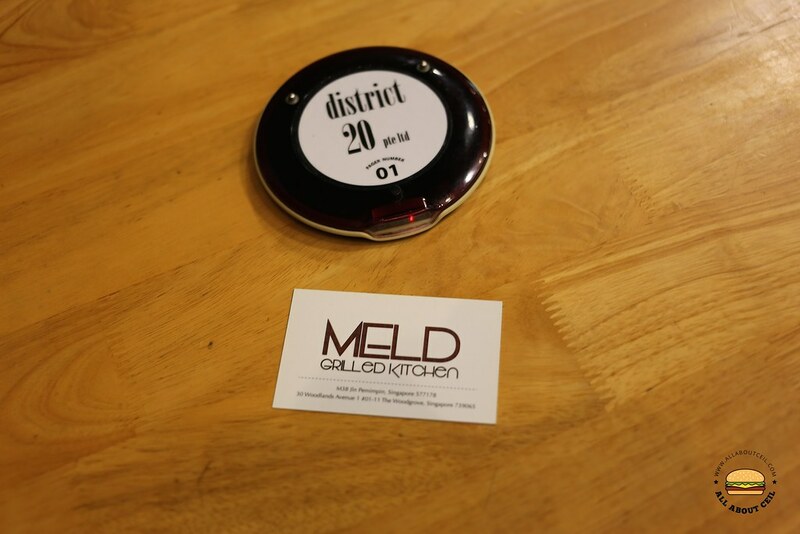 I was given a pager and I walked away, one of their staff came after me with the name card and said, I could refer to their Facebook page for their dishes. When I went back to collect my order, it was just left at the counter with no one attending it. 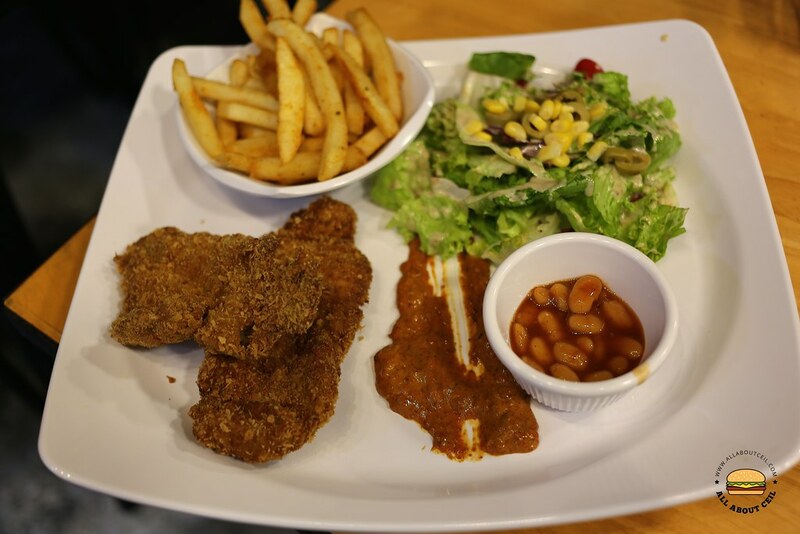 It was served on a large rectangular plate, the fried breaded chicken came in 2 pieces with truffle fries and baked bean served separately in the bowls and garden salad by the side. The breaded chicken seemed to be a bit too dark though no burnt taste detected and even so, it tasted quite bland. The homemade sauce was unexpectedly spicy which I did not like. The garden salad consists of a pile of lettuce, red cabbage and cherry tomatoes with a handful of sweet corns and olives with thousand island dressing. The Western fare at this stall is quite disappointing so if you are there, you might want to go for other choices like Burgerlicious, the other stall just next to this stall or if you are adventurous enough, you might want to try the Indian stall at the corner or even seafood dishes from Seasalt - The Seafood Place.